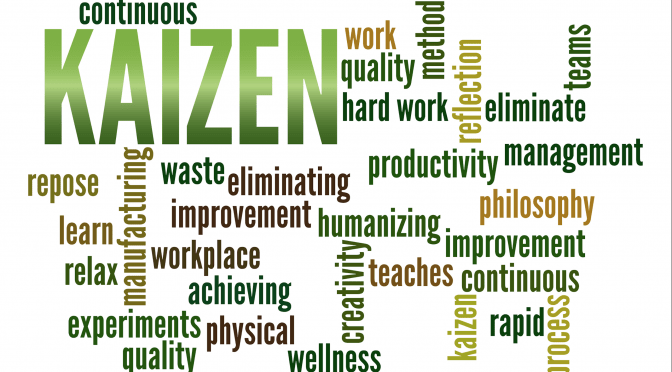 A Kaizen Event (also known as Kaikaku, Kaizen Blitz, Kaizen Burst, Gemba Kaizen) is a focused, intense and short-term project in which a cross-functional team makes rapid improvements in a short period of time. A Kaizen Event normally takes 3 to 10 days and the intensity and urgency overcomes the intellectual resistance to a new paradigm as people have little time to think of reasons for delay. It is common to completely re-engineer a process in a Kaizen Event week. This course is designed for wide range of participants, including process owners, supervisors, managers, and leaders within an organization who will be responsible for process improvement initiatives. It is also appropriate for employees who are not confident about continuous improvement and will help build their confidence to embark on other continuous improvement projects. How to establish TAKT time, process time, and setup time.